I am really excited to announce (ok, maybe that sounds a little grand!) that I am joining the new Foodies100 team today as the blog editor. 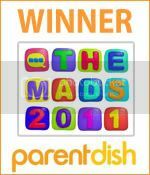 Many of you may be aware or, or even part of, the highly successful Tots100 index, which is a monthly ranking for parent bloggers. Well now the same team has launched a fabulous new index just for food bloggers. If you regularly blog about food then do pop across and register with the index, where we celebrate the UK’s finest food blogs and connect you with top UK brands, as well as offering opportunities to attend free blogging and social events. As I’ve pointed out in my first post, I really want to make the blog as useful and informative as I can for UK food bloggers with hints and tips, weekly round-ups, information on working with brands and PRs, top picks of blogs to follow and much more. So if you’d like to get involved by writing a guest post or you have an idea of a topic you’d like to see covered then please do get in touch with me, either via my blog or the Foodies100 blog. I will also be running the Foodies100 twitter account so do follow for information, updates, competitions and much more. Really looking forward to seeing lots of fabulous food bloggers over on the site.